The Agilent Technologies 5977 Mass Selective Detector (MSD) is a high-performance bench-top quadrupole mass spectrometer. 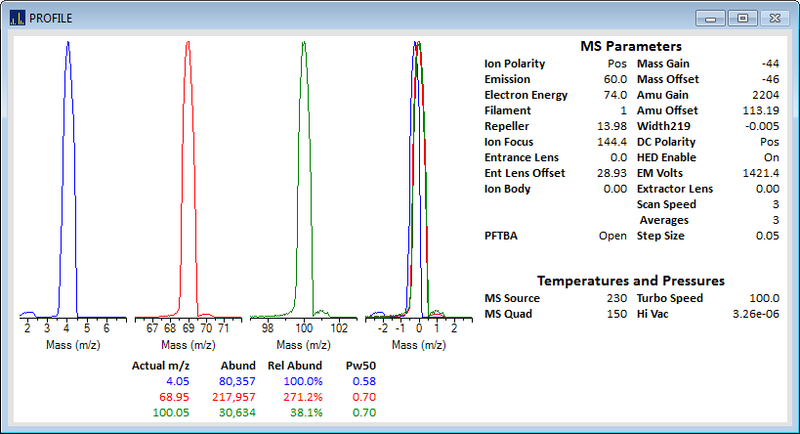 The MS Sensor software also enables the older 5973N and 5975 MSDs to perform continuous process analysis*. *Requires the Agilent MassHunter GC/MS acquisition software. The MS Sensor software provides a simple interface for user configuration. The user only needs to specify the masses of interest and the proper tune file to configure the MSD for a run. The software automatically sets other instrumental parameters. Advanced users can easily override the default parameters using the "Advanced" window. MS Sensor 4.0 allows you to configure MassHunter for either single-scan or dual scan acquisition. 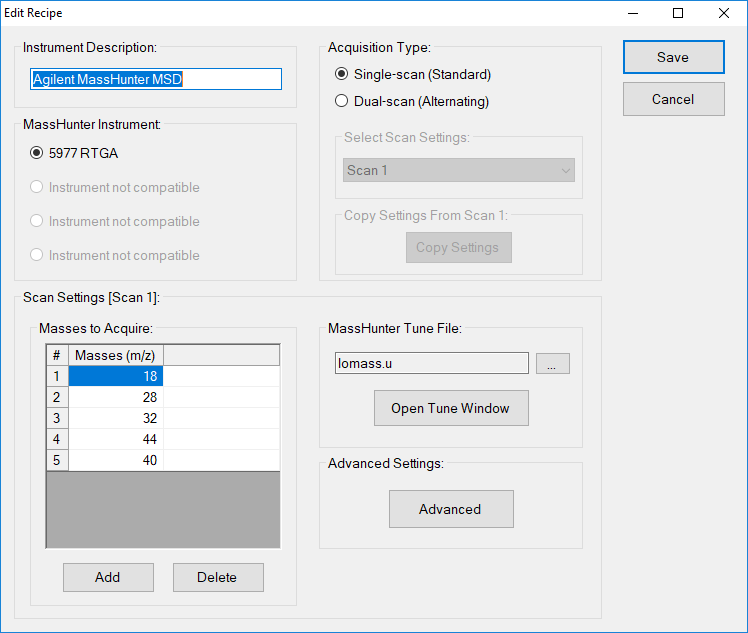 With dual-scan acquisition enabled, MassHunter will alternate between two sets of acquisition settings, which can have different masses, tune files, and other detector settings (including SIM/Scan). When you enable dual-scan acquisition, the “Select Scan Settings” list box allows you to switch between the two scans. The MS Sensor software provides a customized version of the MassHunter GC/MS manual tune window. The manual tune window is used to tune the MSD, vent or pump down the vacuum system, and perform instrument diagnostics. The MSD can be tuned using one of the autotune algorithms, or it can be manually tuned by an experienced user. The MS Sensor software provides exclusive hydrogen and helium optimization tune functions that optimize the response of the MSD for low-mass gases like hydrogen and helium*. The following window shows the tune window after a helium optimization tune. *Detection of hydrogen or helium by the MSD also requires installation of a special low-gauss magnet and ultrawide drawout lens in the MSD ion source. These items are included with the 5000B Real-Time Gas Analyzer. The MS Sensor MassHunter instrument driver can be configured to create a "data.ms" file that contains the raw mass-spectral data acquired during a run. This file can be loaded directly into the Agilent Technologies MSD ChemStation data analysis module to perform library searches, spectral manipulations, and other data analysis functions. The MS Sensor 4.0 MassHunter instrument driver requires that version B.07.05 or later of the Agilent Technologies MassHunter GC/MS Acquisition software be installed and operational prior to installing and using the MS Sensor software to acquire data from an MSD. The MS Sensor software uses an interface architecture that allows data to be collected from several kinds of instruments. 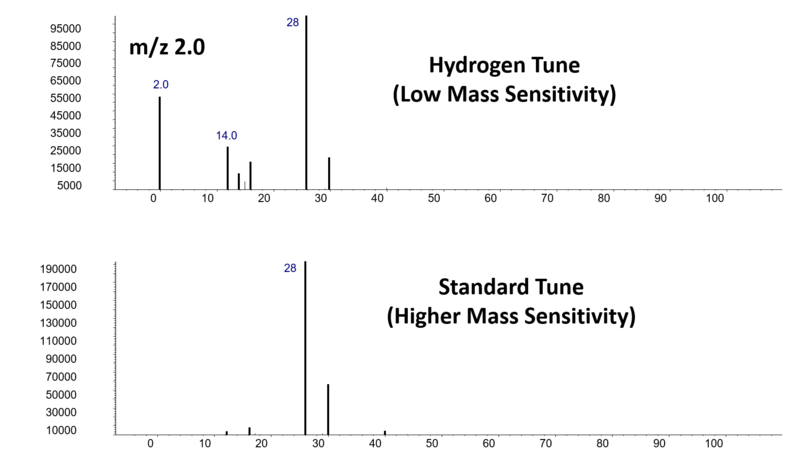 A driver has been written for each instrument described below. The following table lists the instrument drivers that are currently provided with the MS Sensor software. Diablo MS Simulator A simple simulator instrument that generates random abundance values over a specified "mass range". This "instrument" driver is used for testing, demonstration, and training purposes. Diablo Pressure Simulator A simple simulator instrument that generates random pressure values at a specified target pressure. This "instrument" driver is used for testing, demonstration, and training purposes. Agilent 5973N, 5975, or 5977 Network MSD The Agilent Technologies 5973N, 5975, or 5977 Mass Selective Detectors (MSD) using the Ethernet/Network interface with the Agilent MassHunter GC/MS acquisition software. MKS PDR2000 Pressure Controller Reads pressure data from an MKS Instruments PDR 2000 Pressure Controller using a serial interface. Diablo MPValve Multiposition Valve Control Software An instrument driver that integrates the MS Sensor software with Diablo's MPValve 3.0, multiposition valve controller software for VICI multiposition, stream-selection valves. Important: The MPValve software must be licensed separately from the MS Sensor software. 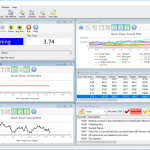 It is possible for other instruments to be added to the MS Sensor process analysis software via a custom driver developed by Diablo Analytical, Inc. Please contact Diablo Analytical for more information.